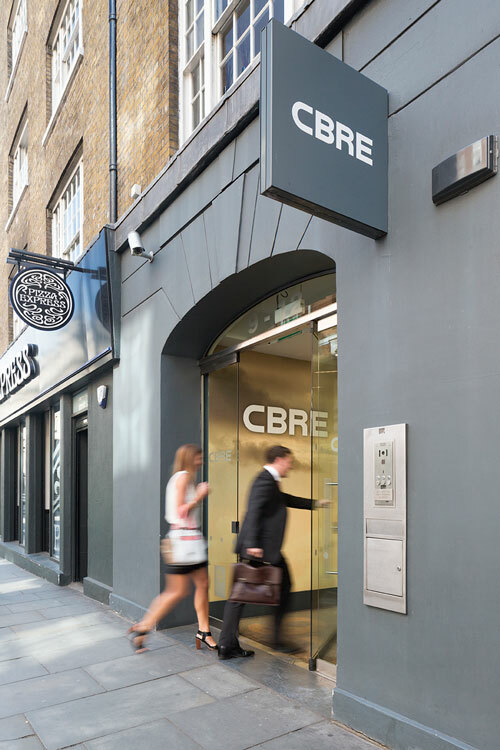 Create have worked with CBRE on a number of projects in past and present years notably on their West End Marketing Suite based in Covent Garden, London. 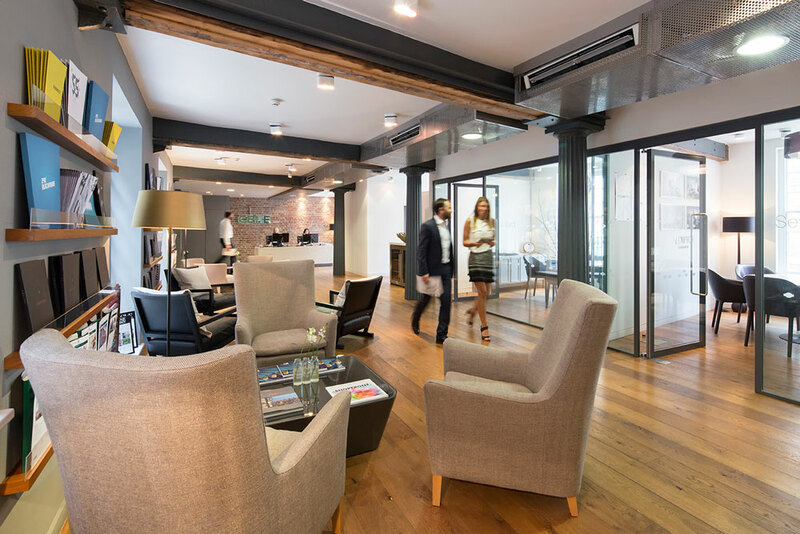 The marketing suite is situated on the first floor and was completely destroyed by a fire a few years ago. 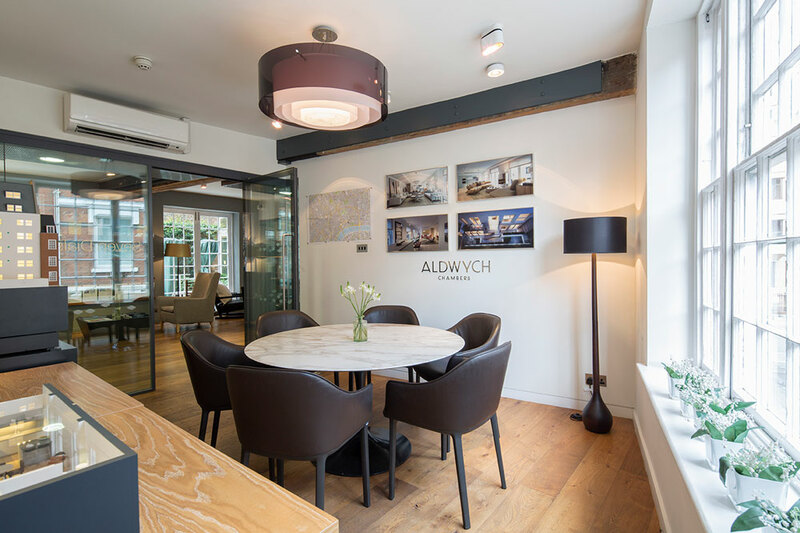 The space has been refurbished to a very high quality and the beautiful period features are showcased within a palette of warm materials and finishes including a reclaimed oak floor. 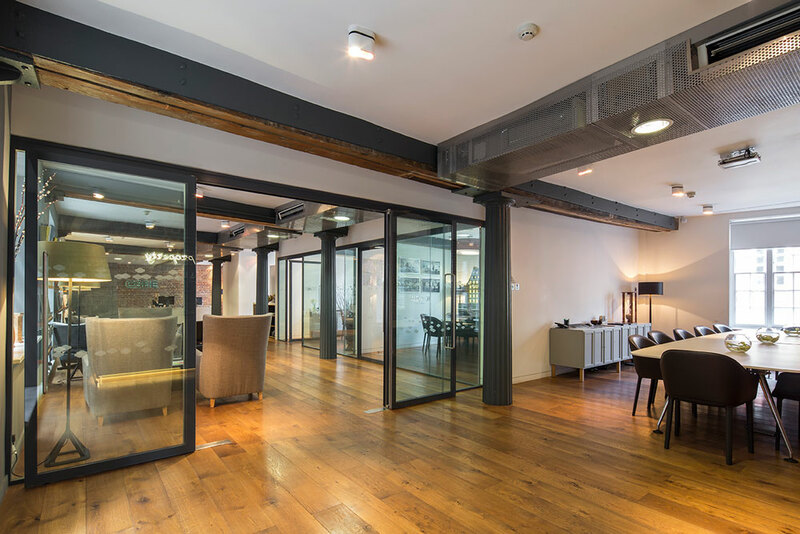 The original beams and period columns are complimented by the use of simple partition framing and which compliment these striking features, whilst supplementing the lounge space with a number of meeting rooms. 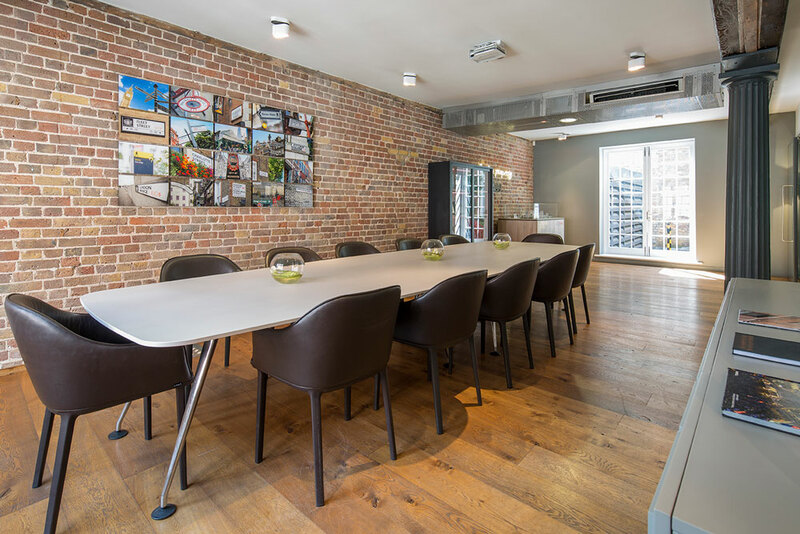 The large boardroom is separated by large double doors which allows the space to be opened up for functions. Neon lit signs were introduced on the retained brick walls adding an elements of fun to the space. 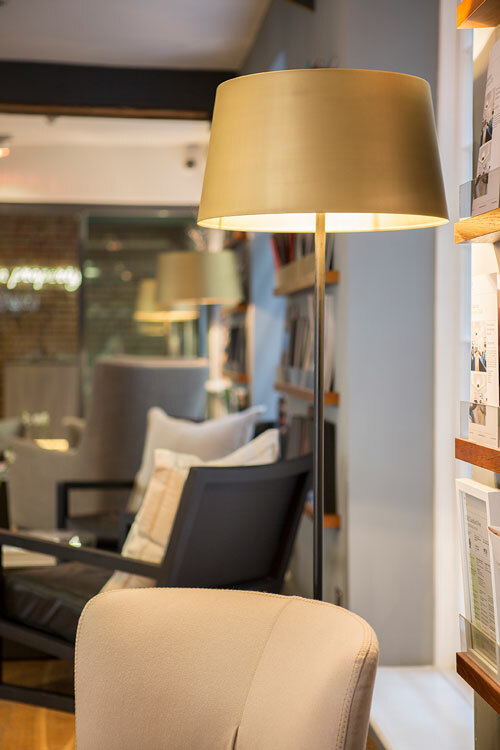 The furniture was carefully selected and upholstered to compliment and define the rooms, accessories and clever marketing displays complete the look. New furniture and planting was added to the external terrace and the internal meeting rooms relocated to the front of the building so they can enjoy the street scene below and allow the lounge space to be opening up to the terrace. 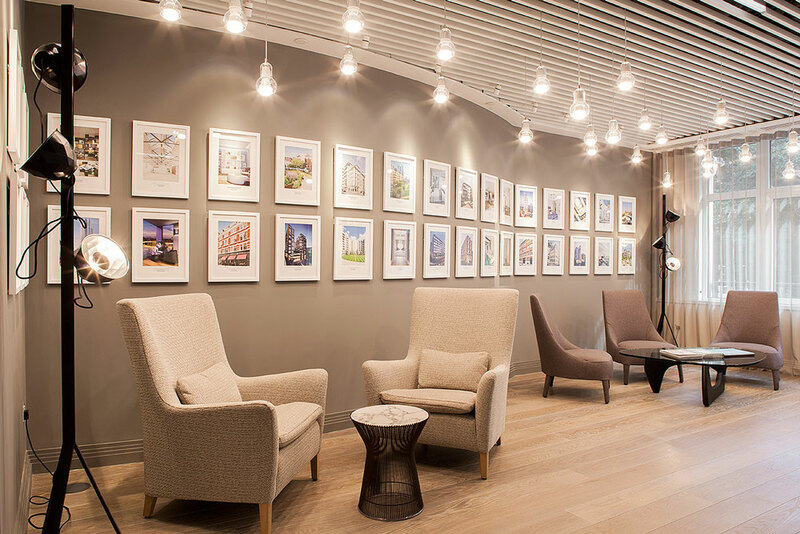 Our first floor space was transformed by Lucy into a beautiful, welcoming area for visitors, which we are proud to show off to everyone who comes through our doors. Lucy worked closely with us through every stage, from conception to implementation, ensuring her designs reflected our strategic vision as well as our needs. The whole process was professionally managed throughout, with Lucy’s creative flair evident in the end product. 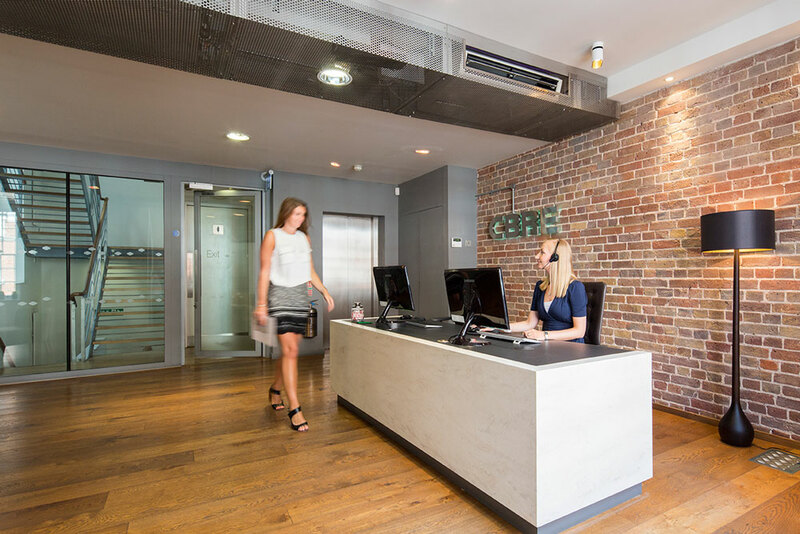 Our clients have given us great feedback on the reception area, and we are delighted.